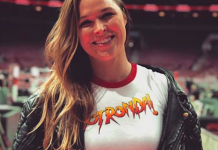 Ronda Rousey has moved on from the UFC and an MMA career to pursue a new chapter in the WWE, but her accomplishments in MMA and before that in judo can never be forgotten. Today, she was honored for those acheivements alongside her mother. Not only was she inducted into the International Sports Hall of Fame, but was promoted to a sixth degree black belt. All of this comes on the sixth anniversary of Ronda Rousey winning the Strikeforce title against her career-long rival Miesha Tate. 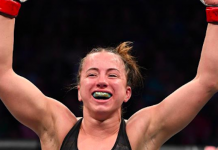 It was the fifth of her six back-to-back wins in the organization before her division was absorbed by the UFC, turning the Strikeforce women’s bantamweight title into the UFC women’s bantamweight title. 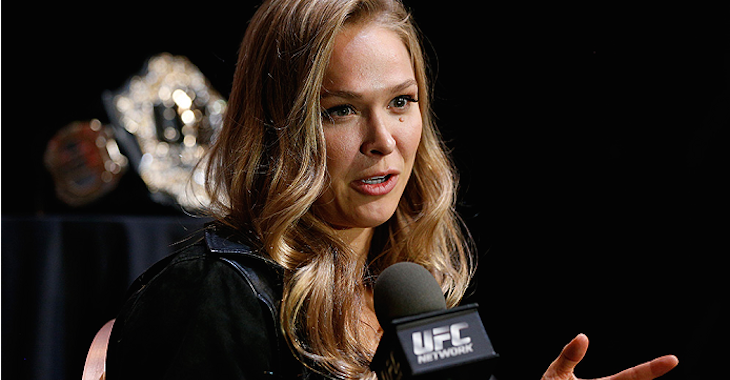 She’d continue her undefeated reign of dominance to 12 wins before finally losing to Holly Holm. It wasn’t just Ronda Rousey who was awarded on a date that coincided with an important moment in their history. MMA pioneer Bas Rutten was inducted into the Hall of Fame as well. This comes just one day after his 22nd anniversary of submitting Guy Mezger with a heel hook in Pancrase. The former UFC heavyweight champion is an architect of modern MMA and retired with 28 wins under his belt and only four losses, three to Ken and Frank Shamrock and one to the legendary Masaharu Funaki.